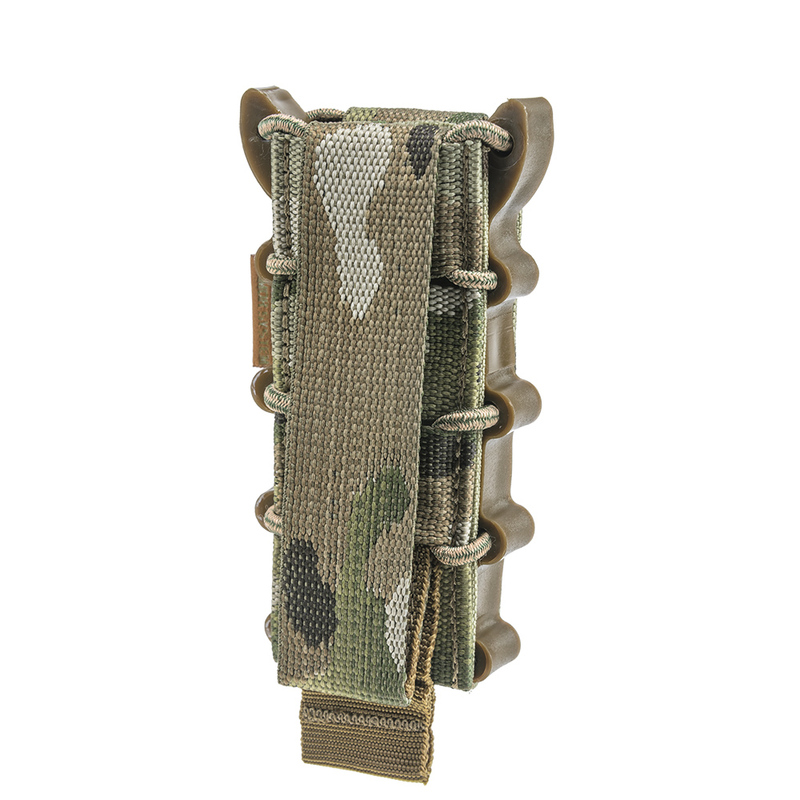 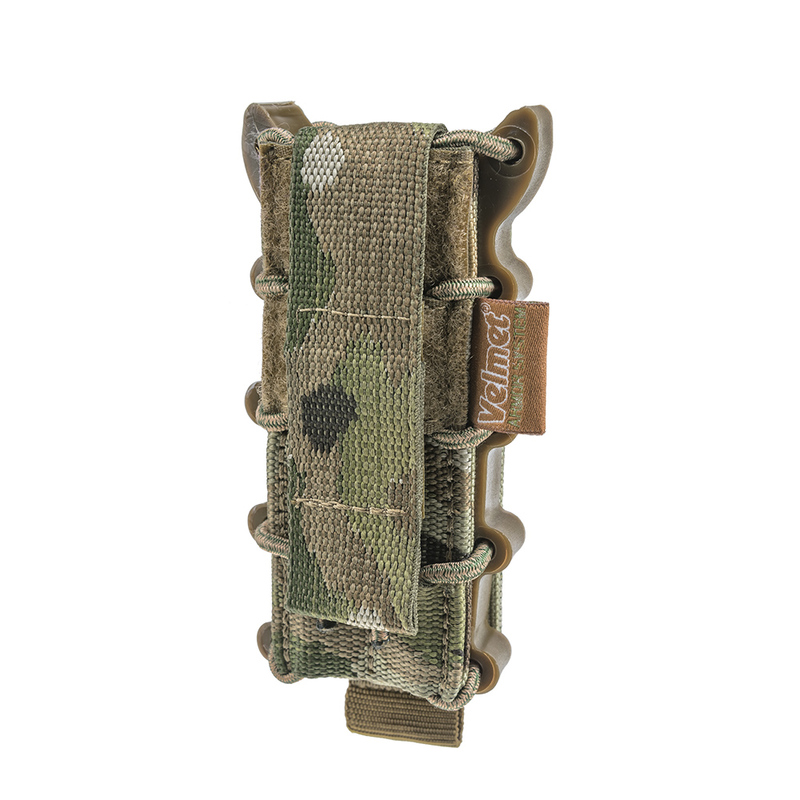 The Universal pistol Mag pouch Multicam is a special product from the Ukrainian brand "VELMET", which is intended for securely placement and quick extraction of magazine without unnecessary movements. 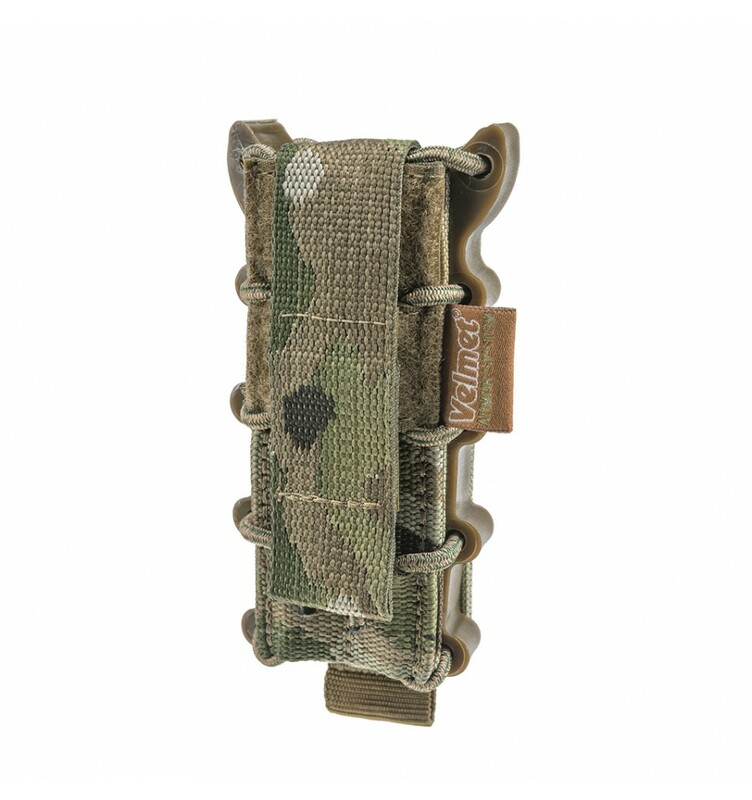 Special form of the side panels designed for simple quick insertion of magazine in one touch. 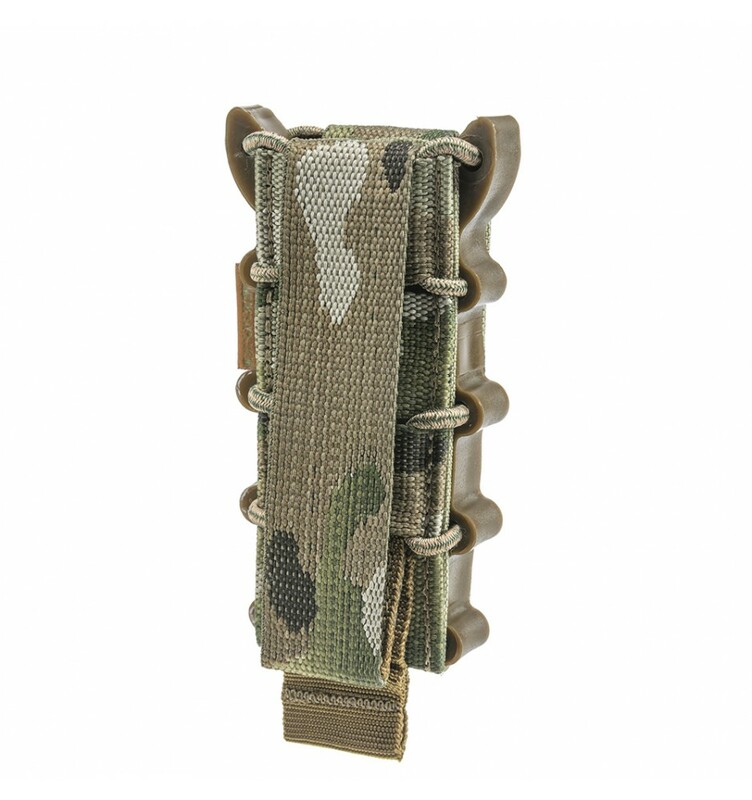 Adjustable inner space by elastic cord and semi-hard construction make it compatible with Mags of various modifications: single/double Stack, up to 20 cm long, for the cartridge 9x18/9x19.